American industrialist and Ford Motor Company founder Henry Ford once said, “Any colour, so long as it’s black”. Renoir once described it as the “queen of all colours”, while JMW Turner once said, “If I could find anything blacker than black, I’d use it”. As physics would have it, the absence or complete absorption of visible light means black isn’t technically a colour. And yet, despite this sinister description, this stylish shade is equally dramatic, sophisticated and handsome. Infinitely versatile, it has been recognised for its conservative elegance as much as it has for its association with counter-culture throughout history, from beatnik to bikers and black-worshipping goths. 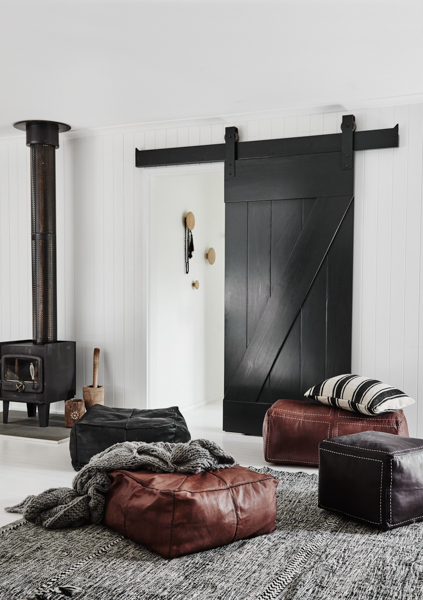 When it comes to creating masculine interiors, black hues draw on this clever colour’s association with the mid-century gangster glamour of film noire, drawing on cinematic sets as much as real life, and bouncing off the colour psychology of power and glamour. Yes, we’re dealing in stereotypes here. But these are open for everyone to exploit – gender aside.